New LGBT+ History Schools Resources! Out today for the start of LGBT History Month 2017 is our new LGBT+ History Schools resource pack. The resources draw on our map and app (search ‘OutStories’ in your app store) and were developed in partnership with local LGBTQ+ youth group, Freedom Youth and the University of Bristol as part of our most recent big project, Mapping LGBT+ Bristol. 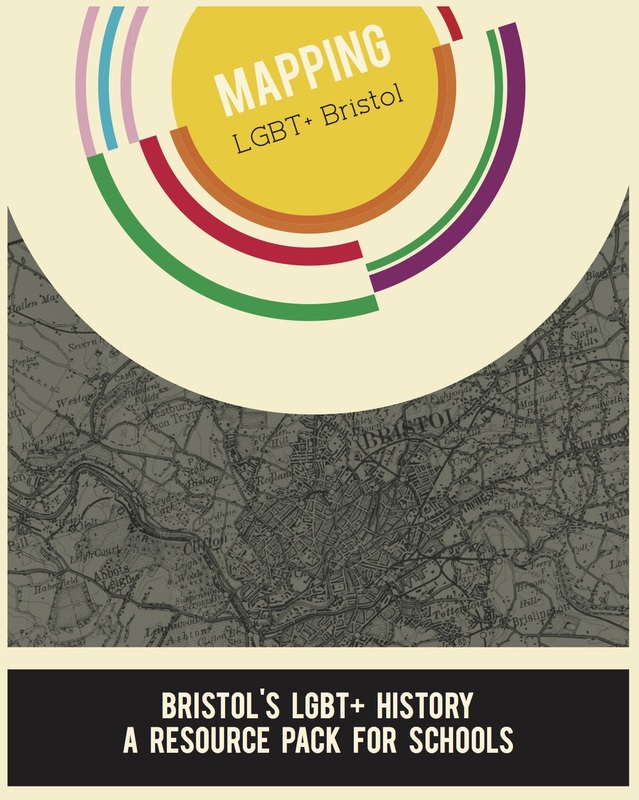 The new curriculum resources draw on the material collected through the course of Mapping LGBT+ Bristol and make use of the map and mobile app as an innovative and exciting method of engaging secondary school students in local LGBT+ history and its geographies. Through engagement with this rich and locally relevant source material, the resources aim to cultivate in students, a connection to place and elicit profound reflection on social and philosophical questions around gender, sexuality, social norms, freedom, crime and punishment. The resources also raise methodological questions around what it is that different kinds of source material – like historic newspaper articles or oral history recordings – can tell us about the past as well as the difficulties that are encountered when trying to understand historic practices using contemporary concepts. While the resources are free to download and a limited run of printed materials are available on request (contact: N.eisenstadt[at]Bristol.ac.uk) schools may also buy-in delivery of the sessions. Delivery will be carried out by peer facilitators from Freedom Youth trained as part of the wider Mapping LGBT+ Bristol project.